Now that we are moving into winter, we are experimenting with new fabrics for seasonal sewing projects. Hello faux fur! 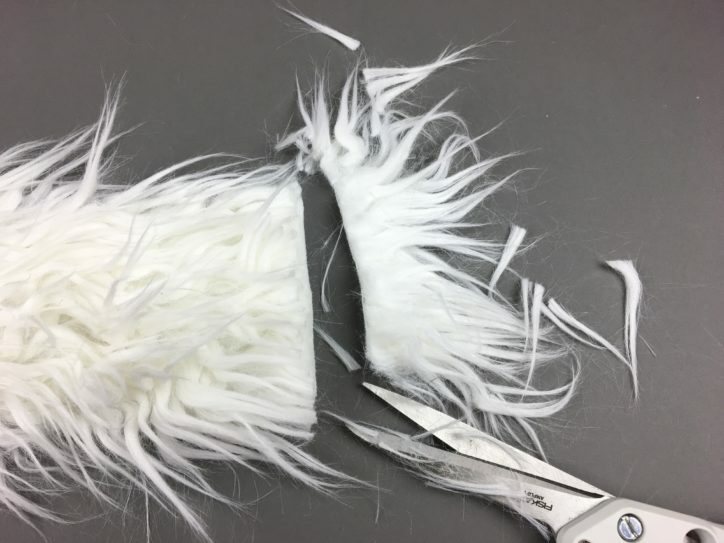 Before we start making projects with faux fur, we should go over a few fundamental techniques for working with the material. Here are 10 things to keep in mind (and practice!) when sewing with faux fur. 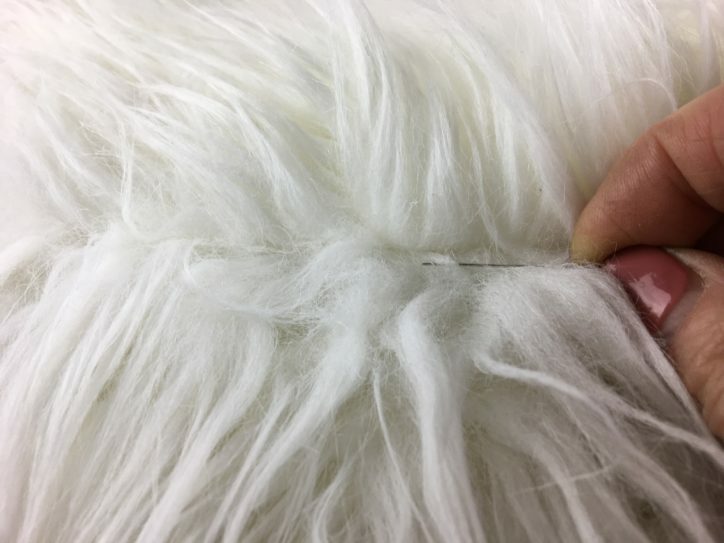 (1) Because it has such a strong texture, it’s good to understand more about the material before sewing with faux fur. 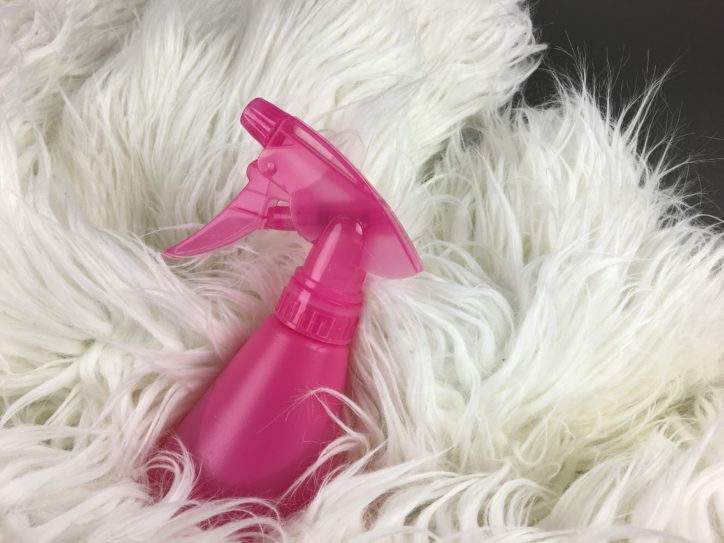 The hair of faux fur is called the pile of the fabric. The direction the pile naturally lays is called the nap of the fabric. The desired direction of the nap should be considered when planning and cutting (e.g. for hiding the zipper under the pile’s nap or when sewing a garment). 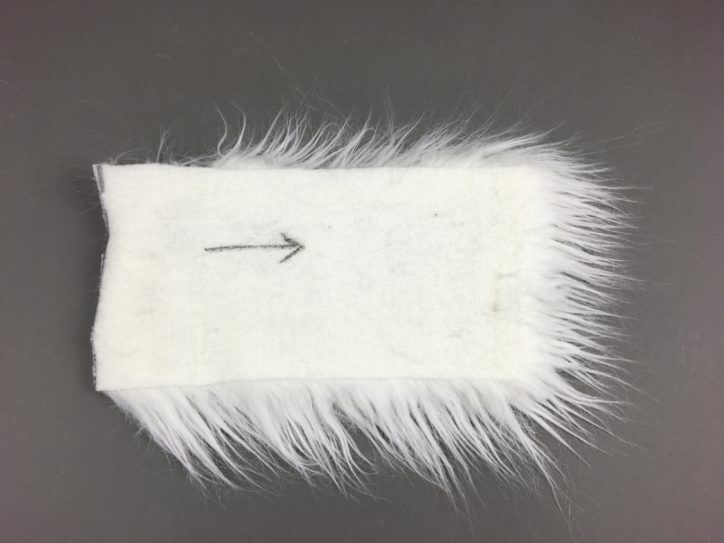 (2) We recommend using a permanent marker to mark arrows on back of fur indicating the direction of the nap. This way you will never get it mixed up, which you will appreciate once you start cutting the fabric. (3) Work with one layer of fabric at a time from the back. Remember to pay attention to the direction of nap! 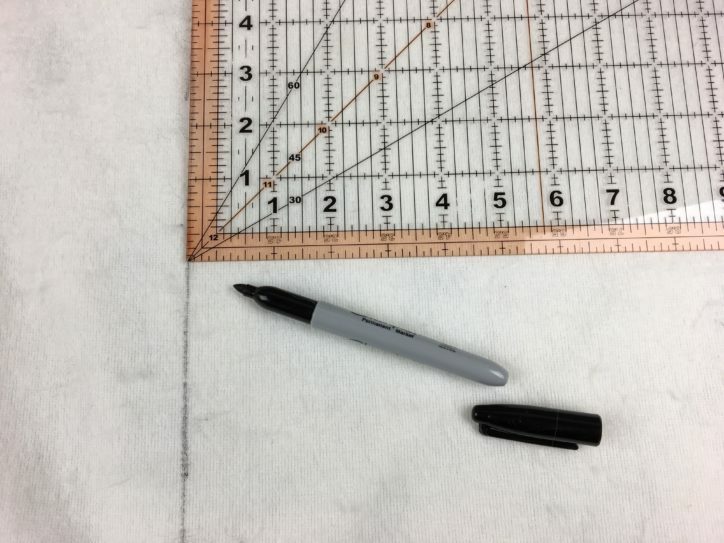 Use marker to trace around whatever pattern you are working with pattern and then mark your cutting line. (4) If fur is cut the same way as regular fabric, it makes a big mess and will not give you that look you are going for. It will have this “fresh haircut” look that does not match the rest of the fur and it is almost impossible to hide. The technique for cutting is to cut carefully from the back. Slide just the tips of the scissor blades in between the fur, mostly just cutting the backing fabric of the fur. Another thing to keep in mind – it’s easier to cut against the nap than with it. (5) Pin to secure with right sides of the faux fur together. 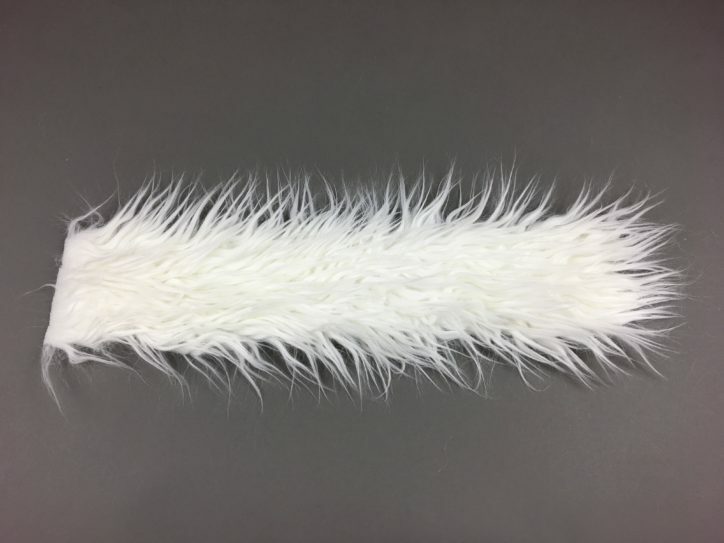 Faux fur is made with a knit backing, so there can be some stretch. And because of the nap, faux fur likes to crawl. Start by pinning the two ends, then work your way into the middle. It is very important to tuck the fur inside, away from the cut edge, as you pin (see our photo above). 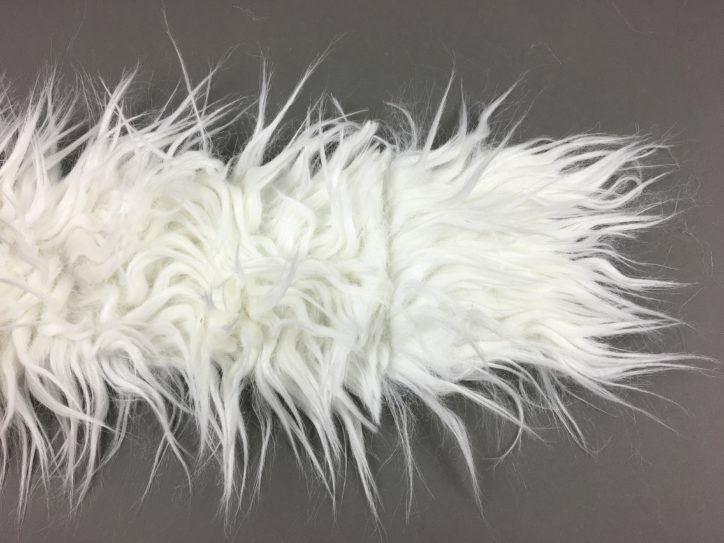 (6) Static electricity often happens while sewing with faux fur and it can make it harder to do your specific project. A spritz of water on your hands or a bit on the fur will help to remedy this. 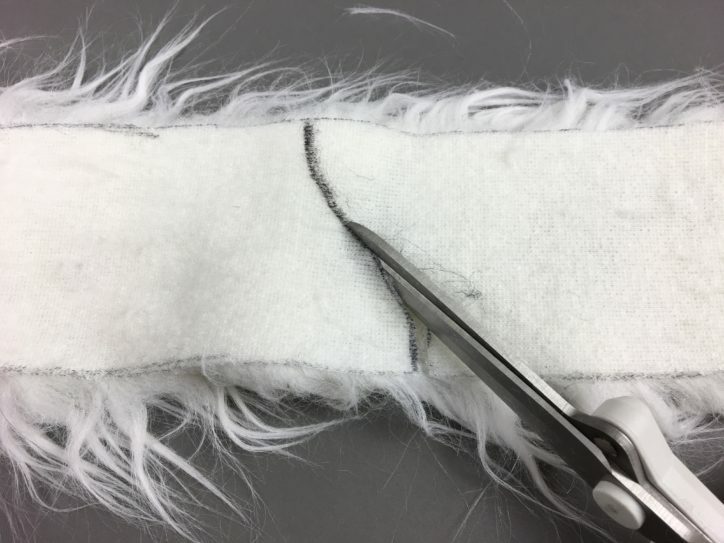 (7) You should always leave at least a 1/4″ seam allowance and use a longer stitch (3 – 3.5) when sewing with faux fur. 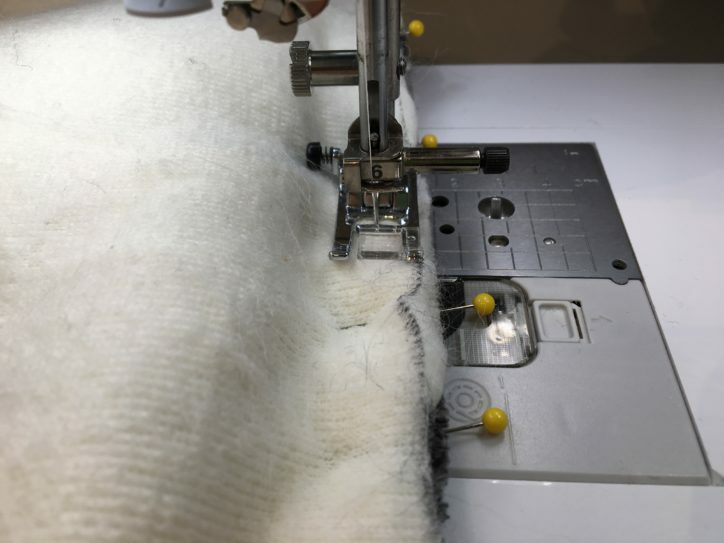 If you are sewing fur to a lighter fabric, sew with the fur on top for less shifting. 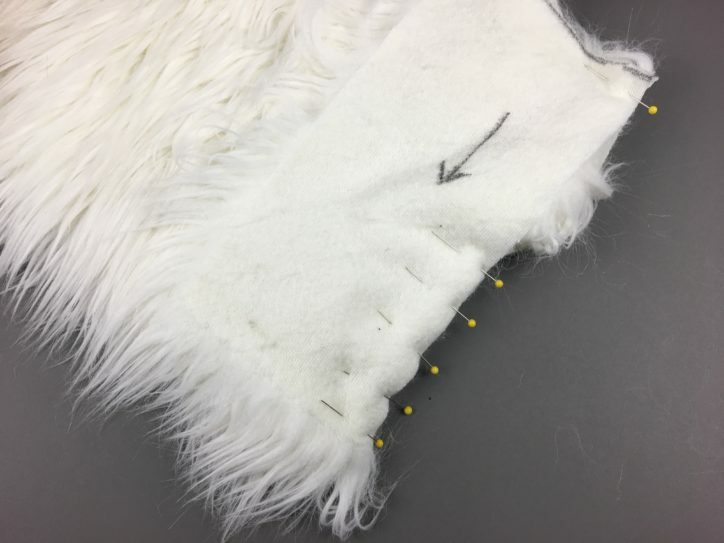 (8) As you continue sewing with faux fur, it might be necessary to pull out any fur caught in the seams using your fingers, a comb or a pin. 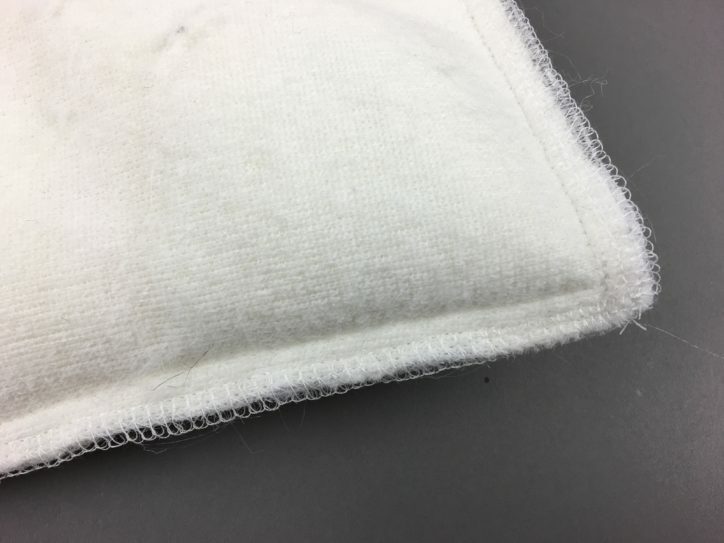 (9) Using a serger on the seam allowances will clean up the edges and compress the bulk. This is optional, but it does give your project a really nice finish. 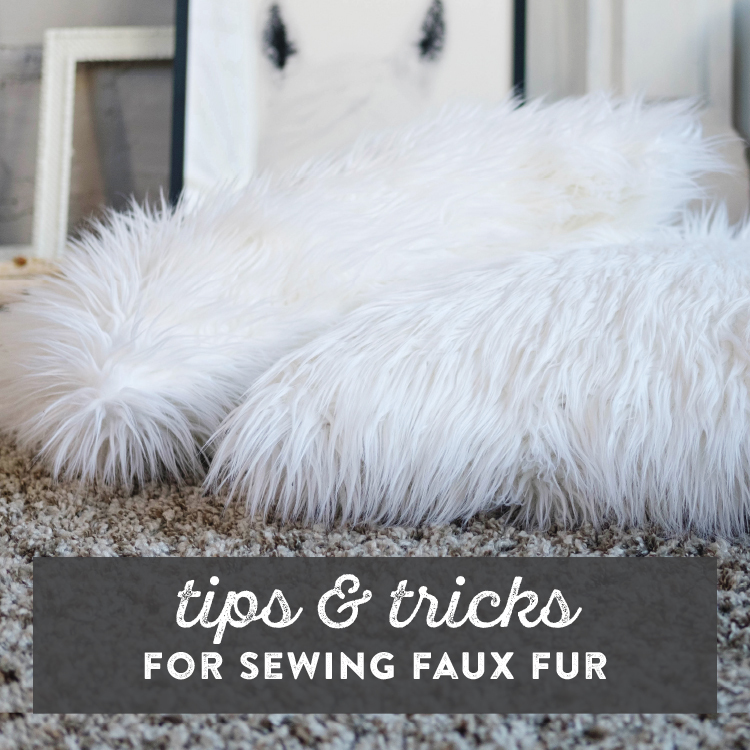 (10) After you finish sewing with faux fur, it can leave a bit of a mess. 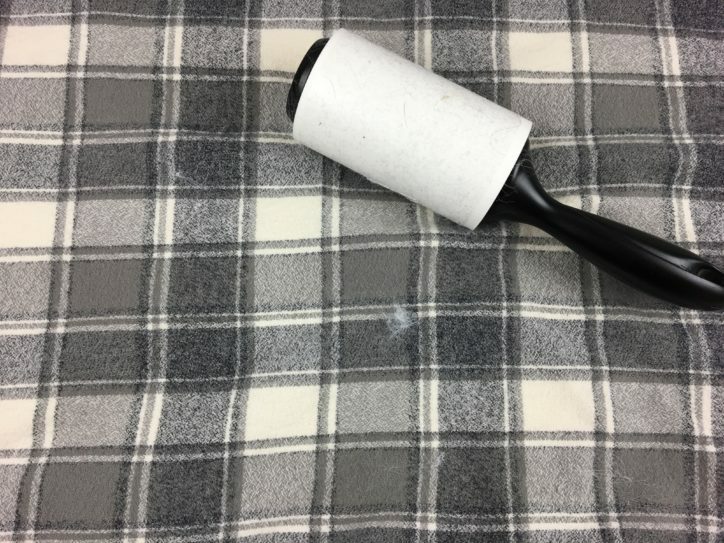 A lint roller and a vacuum cleaner are handy for easy clean up. 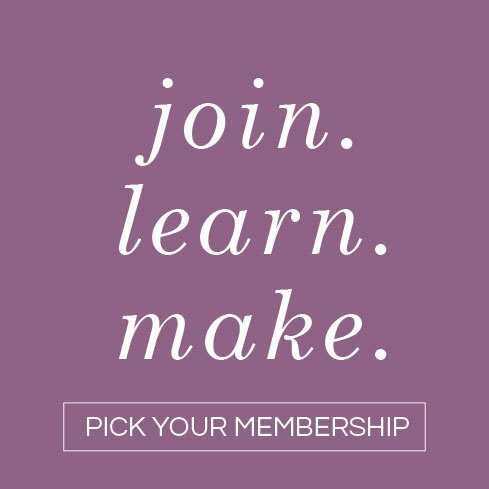 This can also be a good opportunity to clean your sewing machine. Follow your machine’s cleaning instructions in the instructions manual! I think this is a really good tip..right now I’m making a cowardly lion costume for my son & oh boy is even low pile faux fur really hard to cut. I used weights but not much help. 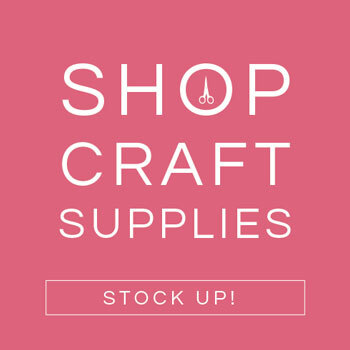 I had an idea that I was certain was stupid, got my Scotch Tape Scissors gadget I always use to wrap gifts…oh my goodness that thing just glides right through the fabric – you get smooth lines. I didn’t know my gadget was that wonderful!! Hi Debbie! 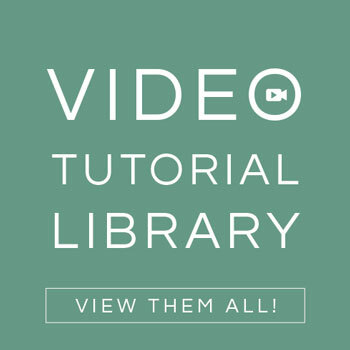 What an awesome tip, such a great way to be creative with the tools you already have!